Cooking is a life long journey, not only in its flavors, experiences, and memories flourishing within, but in its countless possibilities, that there is also always something more to learn. 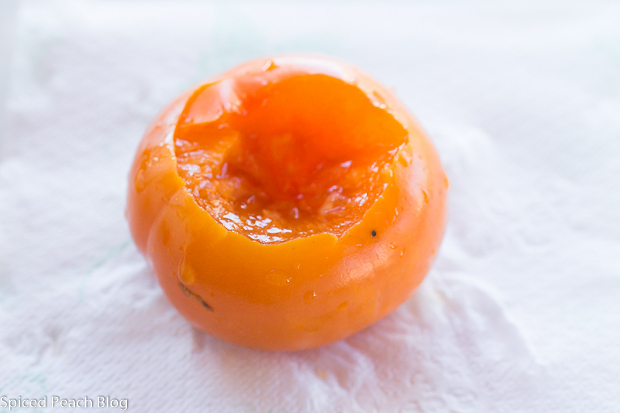 Sometimes, you, just like me, might encounter as in my recent tasting and preparation of the Fuyu Persimmon, a whole new sensation quite pleasurable to taste, and ended up wondering how you ever missed it. And I might have missed out too on this delicious experience if it hadn’t been for Amy at Chefs Press who had recently contacted me on their newest cookbook for its review, “Jewels From My Grove, Persimmons, Kumquats & Blood Oranges, Reflections and Recipes” by Helene Beck. Within the first section of recipes contained in the book shares persimmons, which is my focus today as they have recently made their seasonal appearance. One special feature of the Persimmon is the use of its puree easily wizzed up in your food processor after removing the little floral papery lid on top (no need to peel the fruit) that may then be frozen for future use as I’ve done, and in sharing with you today one of the recipes from the book, Fuyu Persimmon Gingerbread Bundt Cake. Oh my goodness. So delicious. As you might be aware, I know my way around the Asian and International markets fairly well. Sometime around early fall each year, for years, at the corner entrance of the market I’ve noticed the stacked cases of Fuyu Persimmons halfway to the ceiling, set just beside the more common cases of gifting fruits; apples, oranges, Asian pears. I’ve never gifted a box of persimmons to friends nor prepared this treasured fruit though I did know that it was prized, admittedly because only the prized fruits for gifting appear in cases at the front entryway at the local Asian market. This year, as soon as they appeared, I reached up and snagged an early case. As I write, you might want to get yours now too for they only appear in this limited window of season, and what’s more exciting is that last week I observed something I’ve never seen at the local Asian market, Assi, that is, loose bins of persimmons which should make it perfect for you to give them a sample if you don’t want to make a big commitment on the outset before trying them first. You might also try H-Mart (Korean Market) if you’ve one nearby as I do in my own locale. I’ll bet you’ll be delightfully fascinated and pleased as me. The soft cover cookbook of “Jewels From My Grove” is gorgeously printed with brightly colored photographs alongside the recipes that each look so luscious as do those visual cookbooks that take your breath away in their beauty, or leave you salivating and confused on what to prepare first, both applied in my case. I couldn’t even imagine the sheer diversity of preparation with these fruits, particularly the persimmon, how about a Chipotle Fuyu Persimmon and Pumpkin Soup? Grilled Lobster with Fuyu Persimmon Chipotle Sauce? A juicy Fuyu Persimmon Chipotle Prime Rib with Cardamom Spice Rub anyone? I want to make them all. Perhaps I shall. Now I don’t mean to completely leave out the also less common Kumquat in today’s post, and perhaps I shouldn’t, but will admit, as an individual possessing a lot of food knowledge, that when the Kumquat’s appear around the Christmas season each year, I’ve always bought batches to tuck into my greens decorations. They do look beautiful and enhance arrangements, but I have never prepared anything using the kumquat. This holiday season I shall. Upon viewing the kumquat section of the cookbook, along with sharing a few main course options, there tends a greater appearance in its baked goods and sweets selections, again leaving the reader with so many delicious choices one doesn’t know where to begin first. For starters one might enjoy the Kumquat-Glazed Chicken with Bok Choy and move on along to Kumquat Coconut Sponge Cake or really call out the stops with a lovely Kumquat Ginger and Blood Orange Roulade with White Chocolate Cream. There is also a Kumquat Noodle Pudding (Kugel) that I now plan to take to my next door neighbors Hanukkah gathering this year. One unique feature that arrived in my box delivery with “Jewels From My Grove, Persimmons, Kumquats & Blood Oranges Reflections & Recipes” cookbook included some of the authors gourmet condiments from Beck Grove Organics under the name La Vigne Organics begun twenty years back by the author and her husband, these can be ordered online, along with fresh fruit deliveries straight from the source if these fruits are not readily available in your locale. 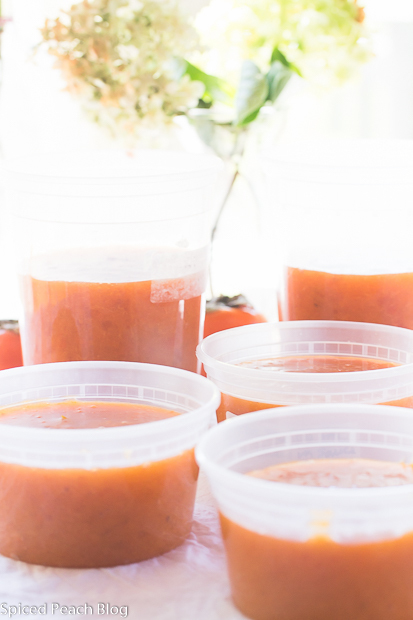 Above, includes a Persimmon Chipotle Sauce, though a recipe for preparing the same is also included in the early pages of the cookbook. 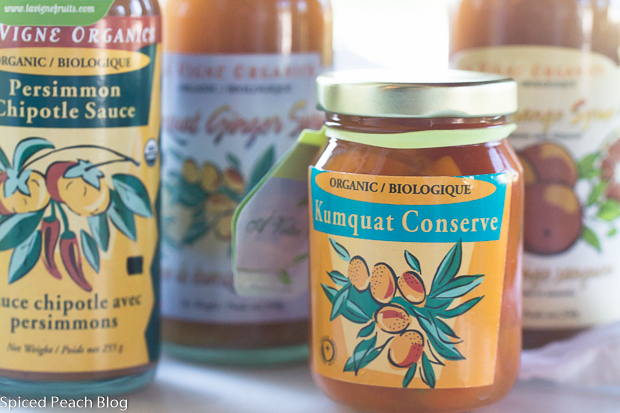 You can purchase Kumquat Conserve as I used in today’s recipe, but an easy recipe for its preparation is also included in the book. Its all up to you. 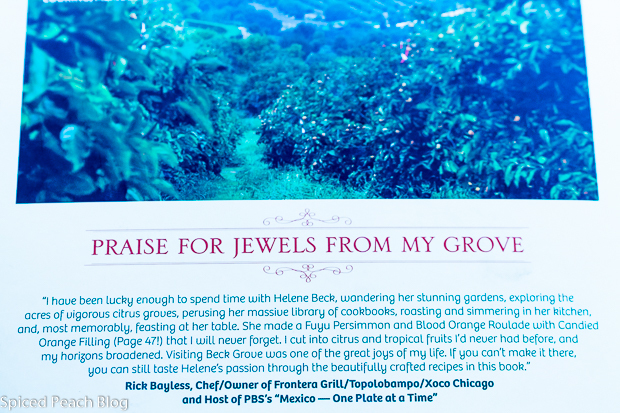 One of the very fun and surprising tidbits on the back of the book for me includes “Praise for Jewels From My Grove” from one of my all time favorite television food hosts, Rick Bayless. I absolutely love his PBS programs on “Mexico- One Plate at a Time.” I thought it might be fun to conclude with his notation as sort of an inspiration, lest you like me, knew little about Persimmons and Kumquats, or maybe even Blood Oranges, for even Rick Bayless found his “horizons broadened” through his visit to Beck Grove, and cooking with author, Helene Beck. Perhaps you too will be inspired through the “Reflections & Recipes” shared in this book, gathering in knowledge, preparations, and pleasures of these distinctive fruits and their many diverse possibilities. 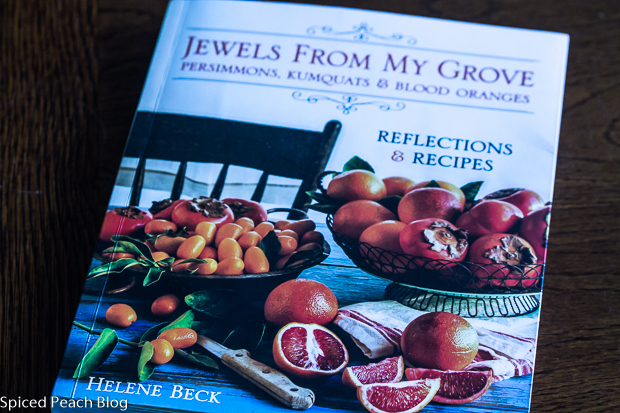 You may purchase a copy of “Jewels From My Grove, Persimmons, Kumquats & Blood Oranges Reflections & Recipes” through Chefs Press, Amazon, LaVigne Organics. Preheat oven to 350 degrees and position a rack in the center f the oven. Grease and flour a ten inch Bundt pan. Place butter and brown sugar in the bowl of a stand mixer fitted with the paddle attachment. Beat on medium speed until very light in color, about 4-5 minutes. Beat in maple syrup. Add eggs, one at a time, allowing each to blend in fully before adding in the next. Scrape down the bowl between additions. Add vanilla and Fuyu Persimmon Puree and blend well. The mixture will look broken, but it will smooth out after the flour is added. In a separate bowl, whisk together flour, spices baking soda and salt. Add this to the batter and beat on low, just until no streaks of flour remain. Fold kumquat pieces and candied ginger into batter. Pour batter into greased pan and bake for 45-55 minutes, or until a cake tester or toohpick inserted into the center of the cake comes out clean and the top of the cake feels firm to the touch. Plan pan on rack to cool completely. To prepare cream cheese glaze, place all glaze ingredients into the bowl of a stand mixer with paddle attachment. Beat on medium speed until well combined. To glaze the cake, unmold it onto a cooling rack set over a sheet pan. Spoon the glaze over the top and let it drip down the sides. To serve carefully transfer cake to a plate or cake pedestal. 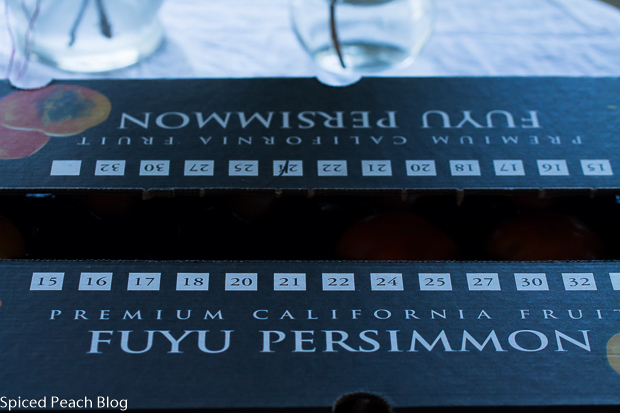 Select any number of ripe FUYU Persimmons. Remove the flower like top. Do not remove skin. 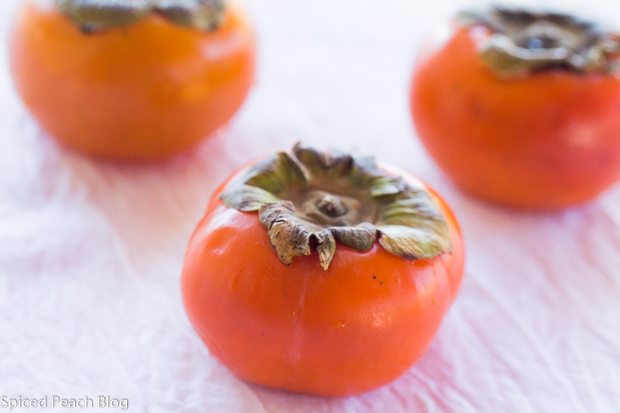 Cut persimmons into pieces. Puree in food processor, scraping sides until fruit turns into a thick liquid. Use within 3 days or freeze for up to 1 year. 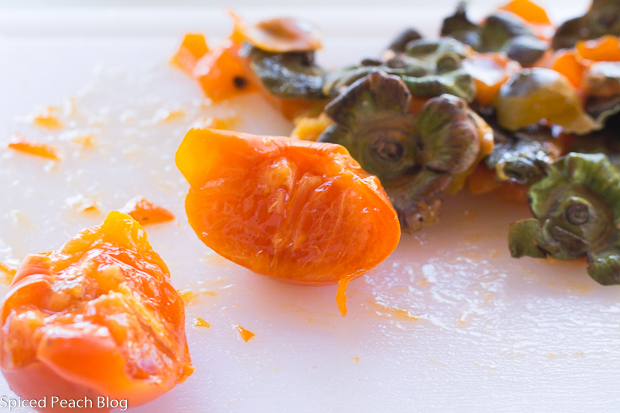 Cut kumquats in half and remove seeds. Set aside. Bring sugar and water to a boil, and then lower the heat and simmer for about 10 minutes. Drop kumquats into simmering syrup and cook until tender, about 30 minutes. Let cool slightly. Transfer to an airtight container and refrigerate. Use within 3 months. This entry was posted in Cookbooks, Sweet Treats and tagged "Jewels From My Grove Helene Beck, "Jewels From My Grove Persimmons Kumquats & Blood Oranges Reflections and Recipes, "Jewels From My Grove", Fuyu Persimmon Gingerbread Bundt Cake, Fuyu Persimmons, Helene Beck, Kumquats and Blood Oranges, La Vigne Organics, Persimmons, Persimmons Kumquats & Blood Orangeswith Helene Beck. Bookmark the permalink. Post a comment or leave a trackback: Trackback URL. 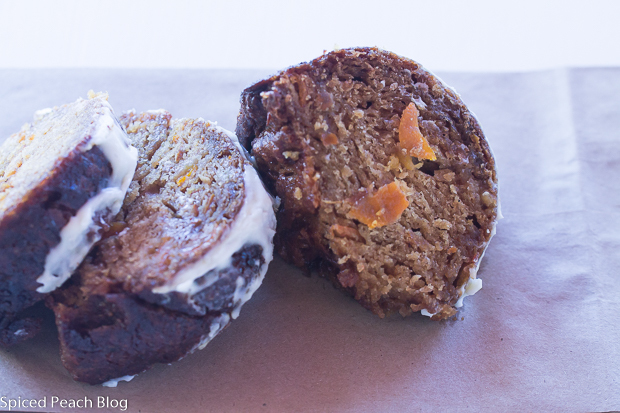 It’s true that a persimmon tastes like a persimmon and nothing else. And the best ones I have ever eaten have been in Paris at the neighborhood markets. What fun! Now you have a new cookbook to explore. Happy cooking, Peggy! Hi Kelly, now that’s really interesting that the best persimmons you have eaten were in Paris! So now you had me curious as to where they might be grown in Europe, this is to say: they give the top ten producing countries and in Europe these include Spain and Italy. Most commonly grown in Asian countries, Mexico and Brazil, New Zealand, Australia, Pakistan, Azerbaijan, Israel, and Iran are also included. The USA is not one of the top producers in the world but we know they are grown in California. 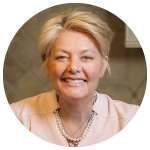 I am so excited on this new find and really love the cookbook unveiling so many new flavors and experiences. 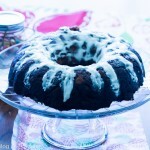 The Bundt Cake is amazing too and nice that you can freeze the puree to bake one whenever you want. See you soon and always sending a hug your way! I don’t think I have ever eaten a persimmon. Blood oranges and kumquats I have. 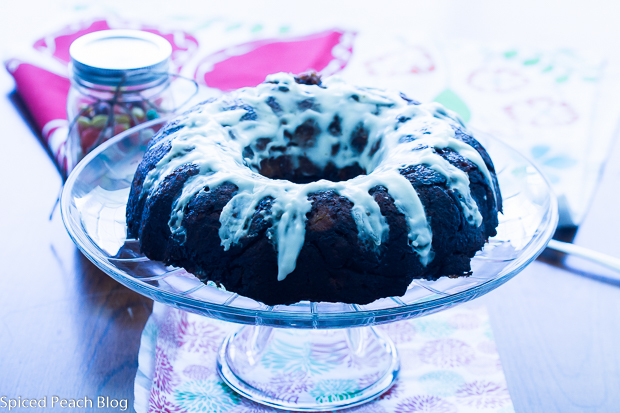 Love gingerbread and as a cake I bet it goes great with a cup of coffee. Phil recently posted…Days like this make you wish you had stayed in bed! Hi Phil, Thanks so much and the cake was sensational. I’m planning on preparing some other dishes from the book as well that I find intriguing. You must try a persimmon, unique unto themselves and very delicious when ripe! Enjoy.